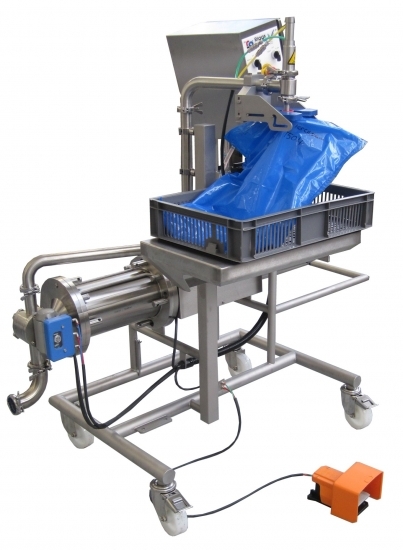 Our high quality semi-automatic pergal bag filling machines have a deposit range of up to 5,000ml per cycle and accurately fill large plastic bags with a pergal type opening. They provide damage free and highly precise depositing of hot or cold liquid, semi-liquid and suspended solid products. Designed for a single operator, they are available with a frame supported product hopper or linked direct to a cooking kettle / holding tank outlet. They are supplied with a choice of depositing nozzle to suit, bespoke neck holding device, multi-cycle counters, foot pedal and height adjustable filling table.